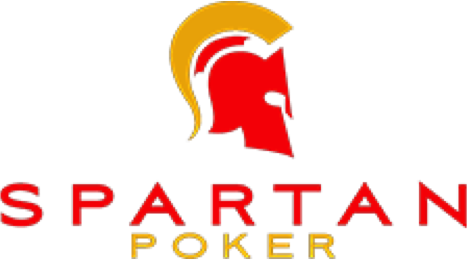 Spartan Poker is the largest and the most recognizable poker brand in India. Being a permanent sponsor of IPC, the largest Indian poker series, the brand has a flawless reputation and it holds big promotions with local professional players on a regular basis. The main currency of the room is rupee ($1 = approx. 67 Rs). The peak times fall on evenings, local time. The number of connections reach 1,000 players. The majority of the games are NLHE and PLO cash games of low and mid-stakes played in 6- and 9-max format. In the peak times, you can get action at 4–5 tables of each stake up to 200/400 rupee (approx. NL$700). The traffic in the poker room is especially high during regular promotions. Besides that, you can get stable action at HU tables at the low stakes and some action — at the high stakes. Also you can enjoy cash games in the Boost format (the Zoom analogue), OFC tables and a trending game of Texas 6+. The action at all of these tables is occasional. The MTT and SNG games are of little interest, however, the field — just like in cash games — is extremely weak here, which is traditional for Indian poker rooms. Spartan Poker utilizes very popular nowadays software of Connective Games, a leading company in the market. The client program is stable, it offers all the necessary functions and filters and has a nice visualization component. The tables are graphically sharp and comfortably resizeable, 4-color card decks are highly visible. The poker room offers both browser and mobile client programs for popular platforms. The Holdem Manager and Poker Tracker are supported via a special hand converter. By default, the deposits are available only via Indian cards. The benefit of playing at Spartan Poker is obvious — one of the weakest line-ups in the world in all the disciplines and at all stakes. Since the main traffic is concentrated at the low and mid-stakes, including HU and PLO, it is exactly our professionals of these disciplines who profit most from this deal. The hardness of the access to this poker room for non-Indian players is brought to nought at most, thanks to our setup. Meanwhile, this hardness of the access indeed guarantees the weakest fields possible.